‘Painstaking Progress’ is another of my stories, like ‘Art and the Mermaid’, that was first published in Quadrant Magazine. It shows the difficulties of the writing process for the narrator as she tries to make sense of her family history and agonizes about the relationship with her young lover. I’m imagining a cloudy autumn morning. There’s a room. Half office, half bedroom. Not too large and not too small. The windows of the room face east and look out towards the ocean across the expanse of a green gully. I picture a woman sitting on a bed with pillows behind her back. The windows are open. Perhaps it is Saturday morning. On the bedside table is a mug of tea and a photograph of the woman’s daughter on her wedding day. The wind begins to stir the big trees outside and the morning haze is beginning to move and for a short moment the sun lightens the carpet and heavy dark wood furniture. The shadows of the curtains’ curves darken the floor, almost invisible to the woman on the bed. The morning sun lightens the CD player, the alarm clock, the piles of books stacked on the revolving Victorian bookcase. She looks out at the water and at the triangle of beach. Sometimes it seems that nothing much changes out there, although on some days the waves break close to shore and at other times further out to sea. She can see it all from the bed, even at night time. The bed faces the beach and the ocean, and so does the desk. The room is like standing at the rail of a ship. this room. The infinite possibilities in the sky and the sea and the possibility of nothing. What is this writing life? It tears me to pieces every day. Have finally made it to the top of the second-book-publication mountain. Received pre-release copy of The Crystal Ballroom this week. Looking good. You can order copies now through the Ginninderra Press website . Also available as an ebook from Amazon, Book Depository and other online sellers. What about you? Any tips you’d like to share about overcoming the resistance to write? Is it a short story or a novel? Greg Hollingshead says that every once in a while, to the salvation of literary fiction, there appears a mature writer of short stories—someone like Chekhov, or Munro—whose handling of the form at its best is so undulled, so poised, so capacious, so intelligent, that the short in short story is once again revealed as the silly adjective it is, for suddenly there are simply stories, spiritual histories, narratives amazingly porous yet concentrated and undiffused. When you decide you want to write in a particular form—a novel, short story, poem—read a lot of writing in that form. Notice the rhythm. How does it begin? What makes it complete? When you read a lot in a particular form, it becomes imprinted inside you, so when you sit at your desk to write, you produce that same structure. In reading novels your whole being absorbs the pace of the sentences, the setting of scenes, knowing the colour of the bedspread and how the writer gets her character to move down the hallway to the front door. We might write five novels before we write a good one. I wrote five book-length manuscripts before one was finally accepted for publication. My skill was in the short form. I’d published dozens of short stories in prestigious literary journals. 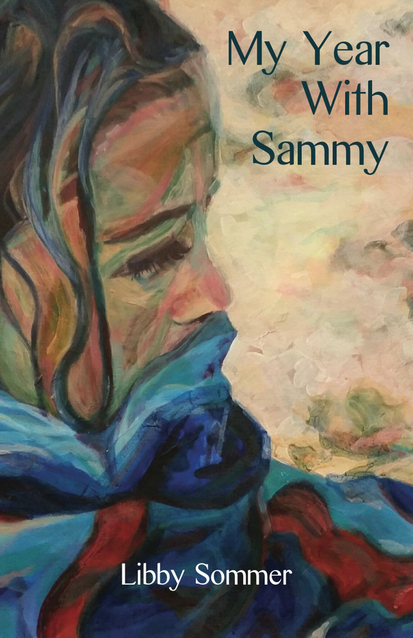 So it made sense that my first book, ‘My Year With Sammy’ (Ginninderra Press) is a novella – a small book. What about you? Is your skill in the short form or the marathon? This story was written just after The Sydney Olympic Games in 2000. A lot of Sydneysiders vacated Sydney during this time in anticipation of gridlocked roads, etc, leaving the rest of us to enjoy the Olympics along with all the tourists.